I thought we had been doing well with our fishing but I was keen to see how the locals did it. Unfortunately my last days on the Banda Islands were spent with food poisoning so we missed our chance to head to a far-out rock pinnacle supposedly holding big shoals of yellow fin tuna. 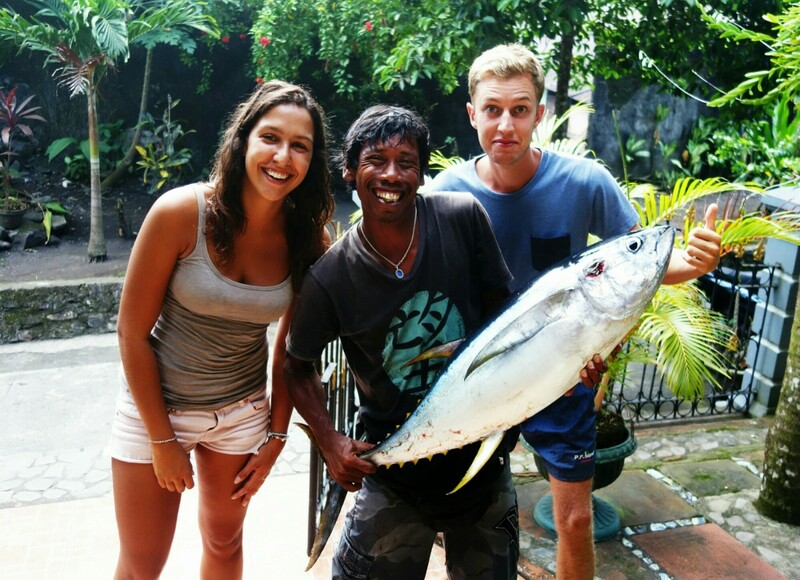 Our friend Imade from Bali promised to come back with dinner, and he didn’t disappoint. He returned with a 20kg yellow fin tuna, the smallest fish of the day. The largest was estimated around 80kg, an amazing catch considering the locals just use hand-lines wrapped around chunks of bamboo. We vow we must come back and try for ourselves one day.